Certified Nursing Assistants work under the supervision of nurses to provide direct patient care to residents and patients in long-term and acute care settings. 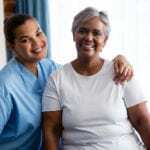 As the baby boomer population gets older, the demand for nursing assistants will steadily increase. According to the Bureau of Labor Statistics, the profession is among the fastest growing jobs America, with a predicted increase of 22% in the next decade. The demand is promising news for adults who want to change their careers or get into healthcare in the fastest possible time. Preparation for the job requires adults to complete nursing assistant training and certification, which can be as short as 4 weeks. 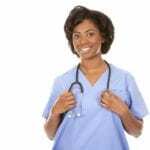 Although the career is rewarding, nursing assistants suffer from heavy workloads and as a result, many use the profession as a stepping-stone to becoming a registered nurse – another in-demand profession. With duties like changing and dressing patients, emptying bedpans, making beds, answering call lights, and standing all day, the job isn’t easy but it provides a good head start for students who hope to enroll in a nursing program. Mentee Career and Training’s nursing assistant program prepares students with the knowledge, competencies, and abilities to provide basic care to patients and residents in nursing homes, hospitals, and long-term care facilities. 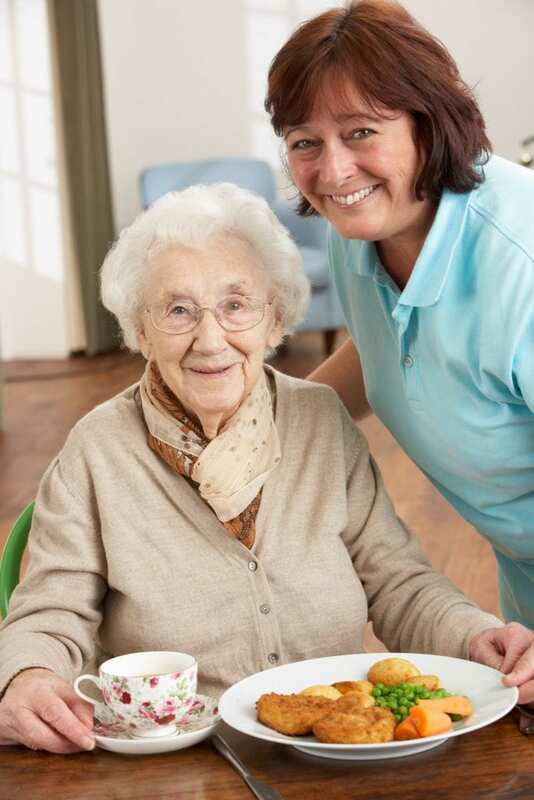 The program includes instruction in the classroom and a supervised clinical experience at a skilled nursing facility. Upon completion of the program, graduates will be eligible for state certification for entry-level employment in various health care settings. Applicants must have malpractice insurance, complete a TB test and hepatitis vaccine at a local health department, and commit to full attendance. Students must wear nursing uniforms to the clinical externship. The one-month nursing assistant program at Woodruff Medical Training and Testing is designed for adults who want to start a personally and professionally rewarding career as a nursing assistant. It supplies the material students need to develop the knowledge base and clinical skills to care for patients in acute and long-term care settings. Through interactive class sessions and practical learning opportunities in the school’s lab and a supervised clinical experience, instructors cover the state guided curriculum for CNA instruction. Areas of study include infection control, bed making, transferring, vital signs, basic nutrition, resident safety, communication, assisting residents with daily care, patient bill of rights, ambulation and basic emergency care, and human sexuality. The theory and clinical aspect of the training provides a solid foundation for students who intend to go to nursing school. Graduates will be eligible to take the state certification exam to practice as a certified nursing assistant. The exam is conveniently offered at Woodruff’s facility. The program is offered on a day or evening schedule. The day program runs for four weeks and the evening program can be completed in six weeks. Applicants must be 18 years or older at the time of graduation, be in good physical health, and be committed to the provision of the highest quality care. Education & Career Resources of GA prepares nursing assistant students for success on the state certification exam. Students can complete the program in just four weeks and will receive a Certificate in Nursing Assisting. The curriculum covers 140 clock hours of theory and practical instruction. In keeping with the school’s commitment to academic excellence, students must maintain a GPA of at least 2.0 for successful completion. Areas of study include vital signs, feeding and nutrition, ethics and laws, roles and responsibilities, communication, infection control, personal care, hygiene, patient safety, and hospice care. Admission is open to adults 18 years or older who have a high school diploma or GED and receive a score of 70% or greater on the Scholastic Level Exam. Applicants should call the school to arrange a personal interview with an admission’s personnel to discuss the expectations for the program, admission requirements, career paths, and job outlook for nursing assistants. Graduates are eligible to work in hospitals, nursing homes, and long-term care facilities after completing the requirements for state certification. Atlanta Career Institute (ACI) collaborates with Georgia Health Partnership to offer a State Approved Certified Nurse Aide Training program. Instructors are committed to students’ success as evidenced through the school’s high success rate on the state certification exam. Each instructor is not only experienced in the field but also patient and dedicated. Students receive the knowledge and skills to work competently with nurses and other health professionals to provide basic care to patients. They learn how to observe patients for physical and mental changes, bathe, feed and dress patients, check vitals, communicate effectively, and provide restorative treatments. Instructors cover the 22 skills using videos, lectures, and hands-on training. Videos of the skills are also made available online so students can review and prepare for the exam. Upon completion of the 85-hour program, students will be eligible to sit the Georgia State exam available at ACI. Students must submit a TB skin test or chest x-ray, drug screen, BLS/CPR for Healthcare Providers, criminal background check report, and two forms of ID by the first day of class. All students must be at least 18 years of age. Weekday, evening and weekend schedules are available. New Beginning CNA training provides students with everything they need to practice competently as a nursing assistant under the direction of a licensed nurse or physician. The program serves communities in metric and East Atlanta. The state-approved training provides education in the areas of CPR and First Aid, health care consulting, anatomy and physiology, medical terminology, personal care, hygiene, vital signs, and infection control. Students also receive career development skills such as resume building, communication, and interview techniques. Graduates are eligible to sit the state certification exam to become a Certified Nursing Assistant and practice in acute and long-term care facilities. Tuition for the program is $575. BLS/CPR costs an additional $50. GCEC opens its state-of-the-art institute to welcome CNA students and help them develop the skills to provide basic patient care. The 4000 square feet facility houses 9 beds and 4 manikins. In addition to classroom lectures, students learn through multiple hands-on, real-life simulations to learn the art of patient care. Areas of study covered include anatomy and physiology, human sexuality, infection control, personal care, nutrition and feeding, laws and ethics, role and responsibility, vital signs, patient rights, transfers, bed making, range of motion, and mental health. the program is offered as a day class. Classes meet Monday, Tuesday, and Wednesday from 7:30 am to 3:30 pm for three weeks and one day. Weekend classes are also available. The clinical sessions occur on Thursdays from 7:30 am to 3:30 pm. The tuition of $999 includes one workbook, a set of scrubs, stethoscope, background check, blood pressure cuff, CPR and First Aid certification, and Fire and Room Safety certificates. Students enrolled in the nursing assistant program at One Breath CNA meet two days a week and complete the requirements for nurse aide certification. An evening schedule is also available – classes are four nights a week. In the classroom, students learn how to measure vital signs, observe patients for changes in their physical or mental health, use the principles of infection control, transfer patients safely from the bed to the wheelchair, bathe, dress, and feed patients, communicate effectively with patients and members of the health care team, and participate in restorative treatments. CPR and First Aid training will be offered during normal class hours. The course will include four tests in the classroom and one final exam. The entire curriculum covers 104 hours of lectures and practical instruction. Graduates are eligible to sit the National Nurse Aide Assessment Program Exam to work as a Certified Nurse Assistant in the State of Georgia. Tuition costs $800 and includes books, uniform, TB test, background check, CPR/First Aid, blood pressure kit and the state exam.